The Sunset Green Event Lawn at 24 North Hotel is a choice outdoor venue in Key West for wedding ceremonies and receptions. Its green landscaping is versatile, accommodating whatever setup you have in mind for your special day. It also lends way to fun wedding games! If you’re planning something outside of the box, consider wedding games, which brings guests together and provides entertainment for kids. Here’s a look at some awesome outdoor games you can plan for your wedding party. Let friends and family test their dexterity and coordination with 54 blocks of oversized fun! Bring together your best friend from college and dear auntie from Nebraska with this simple but extremely entertaining game! If you decide on making your own set, make sure they’re well-sanded for maximum slide advantage. This is a classic outdoor game for all ages, which can be perfect for certain wedding parties (note: wedding receptions aren’t the most entertaining for young ones). 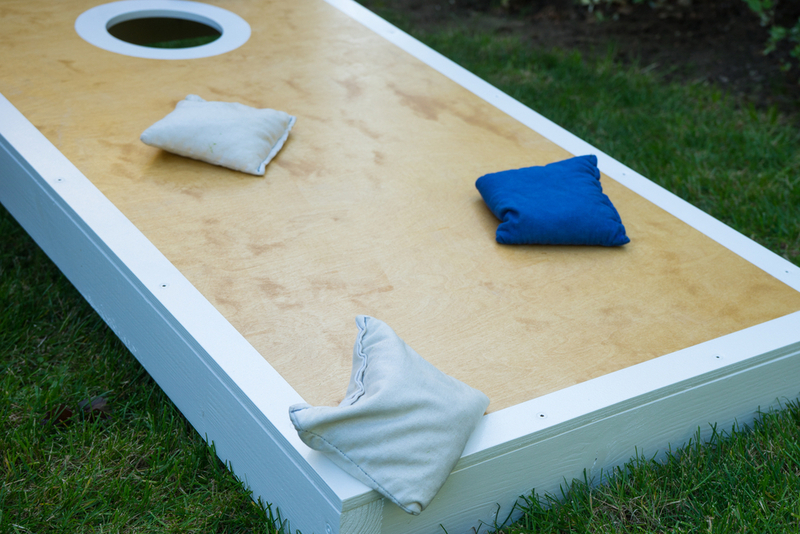 Kids can play along with this easygoing bean bag toss game, which can be played in teams. Get creative and incorporate candy prizes to keep kids interested. You’ve paid for the DJ, but your guests need more stimulation than “Don’t Stop Believing” by Journey. Bring out the limbo bar! This can get everyone in your wedding party on their feet, especially those who are shy about dancing. It also makes for great photos. This is an easy set-up for guest use in the lawn, which you can place next to a photo booth, guestbook, or near the gift table. Kids also love hula hoops and make for another excellent prop in your wedding party photos. Fill balloons with paint, secure to a canvas and let your guests have at it! This carnival-esque game is a clean way for guests to paint a picture for and you and your significant other to take home as a wedding day keepsake. Planning a destination wedding in Key West? Read about trusted, local vendors for your Key West wedding here. Also, check out the Sunset Green as a wedding venue or request a proposal here.